Thoroughbreds is one of the more unsettling movies I’ve seen in some time featuring two tremendous performances from what should be the next generation of talented actors in Olivia Cooke and Anya Taylor-Joy. Plot Synopsis: Childhood friends Lily (ANYA TAYLOR-JOY) and Amanda (OLIVIA COOKE) reconnect in suburban Connecticut after years of growing apart. Lily is now a polished, upper-class teenager; Amanda has turned into a sharp-witted outcast, with no emotional core, with an attitude. Though they seem at odds, the pair bonds over Lily’s contempt for her oppressive stepfather (PAUL SPARKS), and they begin to bring out one another’s most destructive tendencies. Their ambitions lead them to hire a local hustler (ANTON YELCHIN) and take matters into their own hands to set their lives straight. Quick Hit Review: Thoroughbreds is one of the more chilling movies I’ve come across not only this year, but in a long while. This dark comedy features what has to be two of the better rising stars of the next generation in Olivia Cooke, who captured my attention on Bates Motel, and Anya Taylor-Joy fresh off of her star-making turn in Split with New Mutants and Split sequel Glass coming up. The two actresses brilliantly play off one another, though Cooke stands out due to her character’s lack of emotions, though Amanda gets by mimicking others. 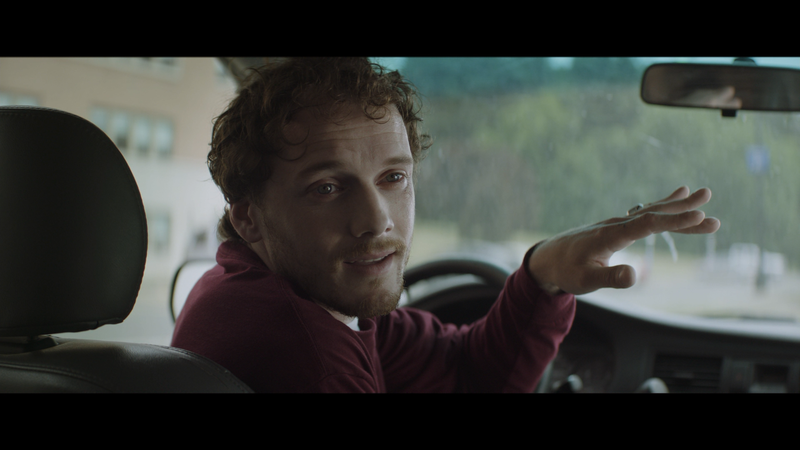 I’d be remiss not to mention Anton Yelchin in, I believe, his finale film and although it is a small part (maybe 10-15 minutes of screen time), he really had a wonderful range from thoughtful drama to off kilter comedy; really a shame we won’t get any more from such a talent. Along with the two young stars, the atmosphere created by writer/director Cory Finley, who originally conceived this as stage play, was fantastic. He utilizes every aspect of the mansion where the movie primarily takes place, going so far with a one-shot sequence and takes advantage of a well done sound design, one key part that plays into the quiet yet still white-knuckle finale, of course don’t want to spoil it here, but absolutely effective. 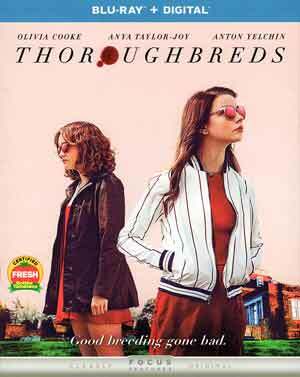 In the end, Thoroughbreds was a fresh of chilling air in what has otherwise been a kind of bland year with few exceptions. The performances from the core cast were amazing all around and this is absolutely worthy of a rental at the very least. This release comes with a title-embossed slip cover and a redemption code for the Digital HD copy. Deleted Scenes (1:54; HD) – Only two scenes here, nothing great, just additional unnecessary character moments. The Look of Thoroughbreds (3:39; HD) covers the production design of the house. These are just short EPK featurettes with on-set interviews with the cast and director talking about the respective characters. 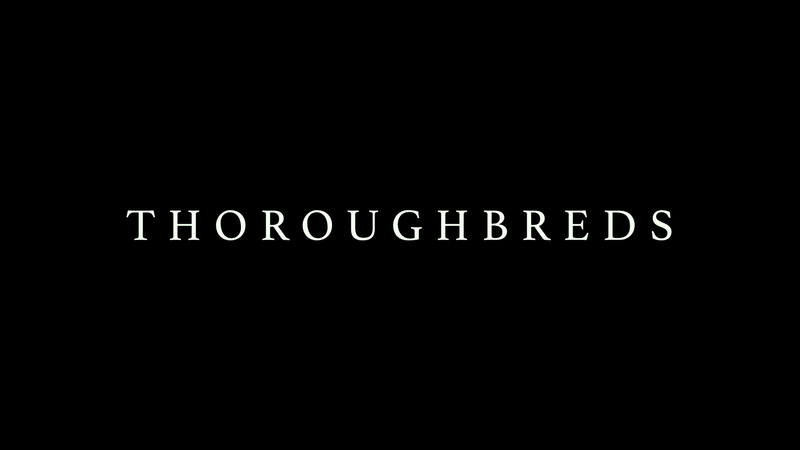 Universal releases Thoroughbreds onto Blu-ray presented with a 2.40 widescreen aspect ratio and given a 1080p high-definition transfer. Detail was sharp and nicely defined throughout and colors, despite the darker nature at times, still tended to be bright and natural in appearance. The film includes a standard but still well done DTS-HD Master Audio 5.1 which is on the quiet side with mostly dialogue coming through the center channel, though the amazingly haunting score by composer Erik Friedlander (debut) as well as a certain ambient noise coming from the second story of the mansion had some surprisingly depth behind them. 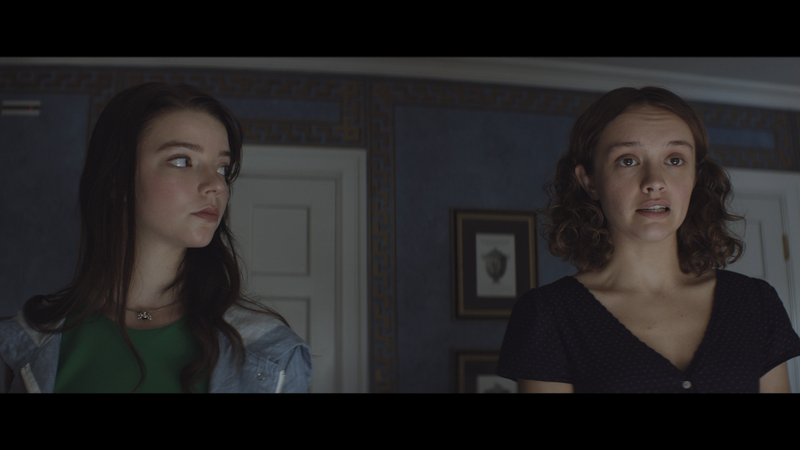 Overall, Thoroughbreds is one of the more unsettling movies I’ve seen in some time featuring two tremendous performances from what should be the next generation of talented actors in Olivia Cooke and Anya Taylor-Joy. The Blu-ray release offers up good video/audio transfers but unfortunately the features are lacking.